When Dr. Stacey Keen, a radiologist, viewed her own screening mammogram, she immediately knew she had cancer. 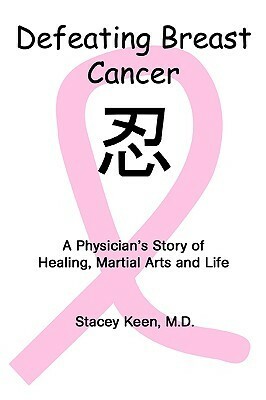 Defeating Breast Cancer: A Physician’s Story of Healing, Martial Arts and Life maps out her journey through diagnosis, treatment, and triumph. Dr. Keen’s tale of survival brings encouragement, hope, and empowerment to anyone struggling with breast cancer or other life-threatening illnesses. Humor, positive attitude, and the best of Eastern and Western philosophy and medicine: I enlisted them all to maximize my chances of survival and to grow through this experience. Those who seek a somber tome about breast cancer should look elsewhere. Those who stay with me through these pages will glimpse a way of coping with cancer that I hope can brighten their lives.